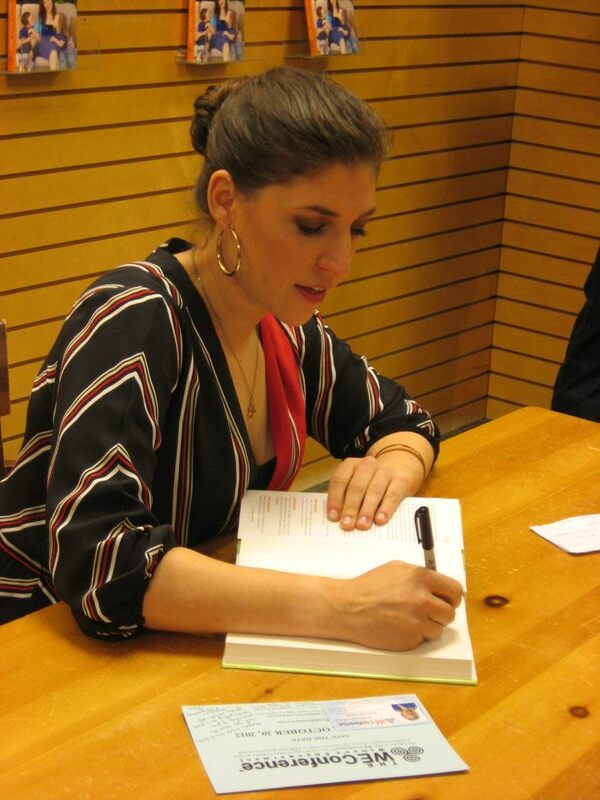 Mayim Bialik - "Beyond the Sling"
For the past week and a half, Mayim Bialik has been traveling and promoting her new parenting book, "Beyond the Sling," which is "a real-life guide to raising confident, loving children the attachment parenting way." Mayim draws upon both specific and personal examples from her family's experiences, as well as her PhD in neuroscience, to explain why this parenting system has worked for her. "I guarantee you that I don't know how to raise your kids; I know how to raise mine. This is not a judgmental book. This is not a book in which I explain to you why what you have done or want to do is wrong, and why your children will be forever scarred by your selfish and outrageous parenting. You and your family are the only ones who can decide how to parent." Last night I attended an event in Santa Monica where Mayim spoke about her book before signing copies for those in attendance. Following is a full video of her talk - she begins by addressing the five most common questions she's faced while on her book tour, and finishes by taking questions from the audience. Even if you're not looking for parenting tips, it's still worth watching if you're just looking to learn a little bit more about the woman behind Amy Farrah Fowler. A loving mother, an astonishing intellectual with a PhD, a badass actress, and now an author? Can she be any more of an inspiration? i am sad that she won't be on the next two episodes (5X20, 5X21)... i hope she will be back for the last 2!